Bully frontwoman and mastermind Alicia Bognanno knows how to write songs that are as cathartic as they are explosive. It’s a skill that translates masterfully live – moments of repose give way to fuzzy guitars wailing and vocals that alternate between sickly sweetness and guttural screams. Their sold-out show at the Great Scott on November 12th demonstrated the band’s full ability to those eagerly waiting in anticipation. The first set of the night belonged to Brooklyn based Aye Nako. As self-described, the band is “black, queer, trans and poor, and sing about white supremacy, trauma and child sexual abuse.” There is no divorcing the band from that statement – their music deals with a lot of the heavy experiences they have had, and it’s a gorgeous thing to get to be blasted by. This night wasn’t about finding solace – it’s about actively confronting pain, and there weren’t many moments in their set that you were excused from that reality. Sharp drumming and unrelenting guitars drove the band, with small breaks for spotlighting poignant lyricism. Even if you haven’t had the direct experience of Aye Nako and aren’t the audience the band is seeking, you are able to get a sliver of the pain and celebration that drives them with a single listen. Experiencing this band is demanding as it is fulfilling – and it’s particularly wonderful to see that as an opener for a band that dwells in a similar space but brings in less of the societal. While there is no doubt that the band has considerable performing and writing talent, it was a much looser sound than what would follow. What differentiates Bully from almost any other band is how stark and clean they keep their mix. It’s a testament to Bognanno’s deft hand at the soundboard, but surprisingly their live show loses none of that precision. There are some small differences between the recorded and live execution, primarily in the mixing, but it was a testament to the band’s playing abilities that such a faithful translation could occur. Bognanno’s voice proved to be as exceptionally masterful as well – with such a light and deft vocal execution, it would be easy to lose the singer in the mix, or for her to take on a different tonal quality live, but the switch never happened. This could be attributed to the sparser guitar parts throughout verses, but the mastery was there nonetheless. You have to admire the calculation and energy with which Bognanno steers her ship. The crowd ate up the band’s presence and threw it back at them. 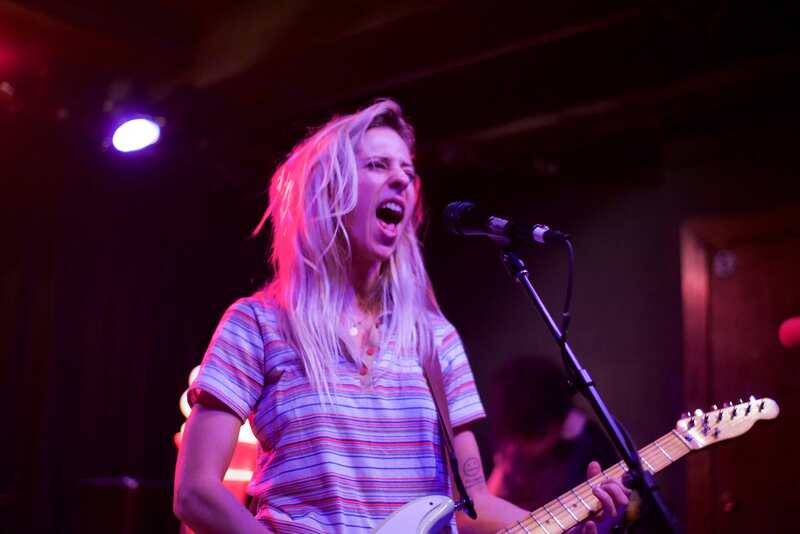 Bully’s shows continue to bring the energy of collapsing star – fragility and power coming alive and dying in the same moment.